Kentucky native singer-songwriter Chris Stapleton released his debut album Traveller on May 5. 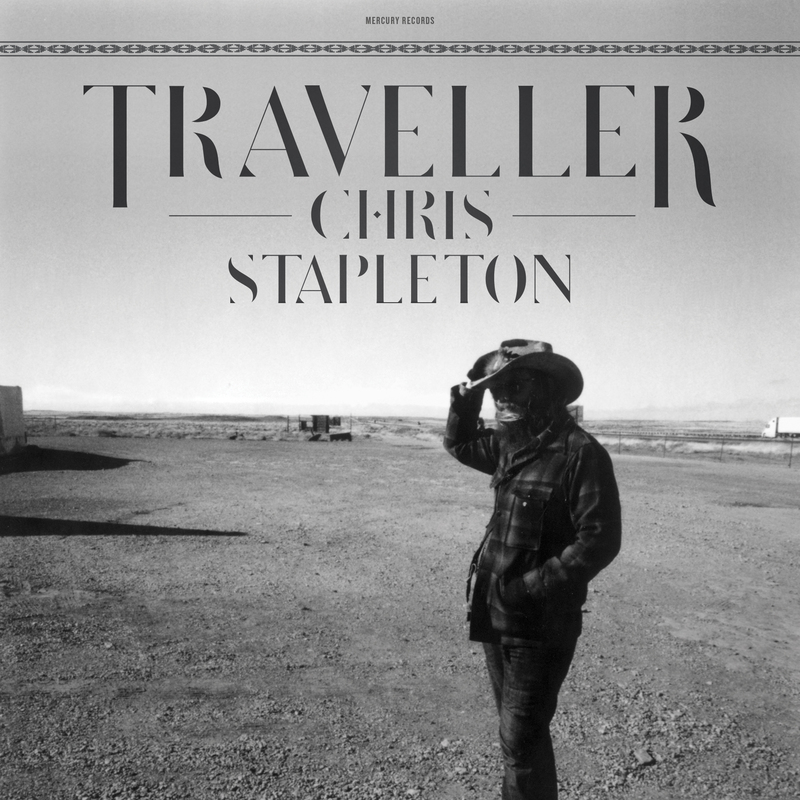 Holding 14 tracks, with only two not co-written by Chris himself, Traveller also features backing vocals from Chris' wife Morgane Stapleton. The album's title track (and opening track) is one of my favourites. It has a steady, comfortable beat from the drum line and guitar hook and showcases Chris' strong, distinctive tone as well as Morgane's accomplished backing vocals. Whilst many country music fans will know of songs Chris has written for other artists (and sometimes been featured on), this song will be the first many listeners will hear of his music and it is certainly an impressive introduction. Fire Away is another strong track. With a more sombre production and melody than Traveller, the track also has a more melancholy lyrical story behind it, with lines such as "take your best shot, show me what you got, honey I'm not afraid" and "choose the words that cut like a razor and all that I'll say, is fire away". One of the rockier tracks on the album, Parachute, is also one of the strongest in my opinion. The track showcases the rockier side of Chris' vocal and focuses around the idea of "say the word and I'll be there for you, baby I will be your parachute". The catchy melody will immediately draw listeners in and I'm sure it will be played frequently! I'd definitely like to see Parachute as Chris' next single. I would definitely have to commend Chris on the overall strength of this album, my only negative would be that I would like to hear more upbeat tracks like Traveller and Parachute, the majority of the album being quite slow, sombre tracks. If you are looking to hear contemporary country I wouldn't recommend this album, Chris having more of a traditional country influenced Americana sound, however I would say this is definitely worth a listen for anybody else!